The KPA Drill Down software, nicknamed MoLLe-e is a friendly SaaS with unlimited drill down data capabilities. MoLLe-e enables you to intuitively reveal the insights hidden in your data, share them with your managers and colleagues and drive your organization into action. 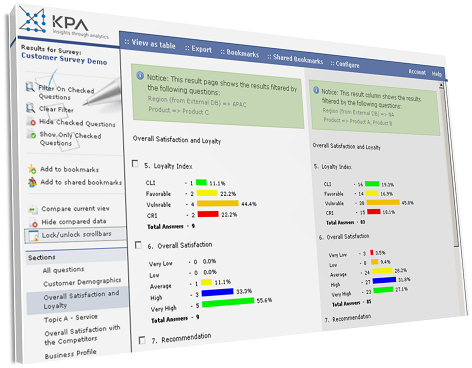 "Nice, agile and comprehensive system to control, view & analyse customers (and others) survey details. A powerful package in light of the very good escorting, training and support from KPA pro team. I strongly recommend. " Please enter your email, a confirmation link will be automatically sent to your inbox. All rights reserved KPA Ltd.